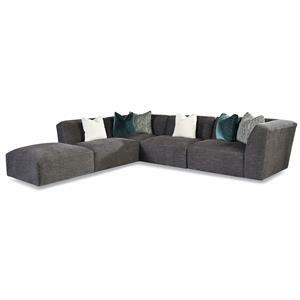 Add this sectional to your living room for style and comfort. Adorning this piece are track arms with a touch of cushion, T-back cushions with welt cord trim, and tapered, exposed wood block legs. 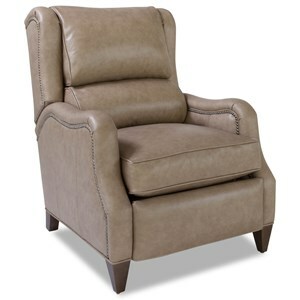 The high resilience seat cushions are ultra comfortable and supportive. 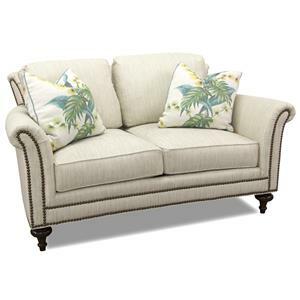 Keep this design or customize the look you've always dreamed of by choosing from a variety of style options, including arms, backs, and bases, and choose from our wide selection of upholstery fabrics, then design your contrasting accent pillows to pair with it. 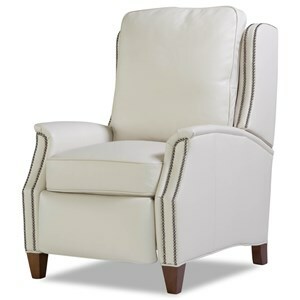 Sleek lines bring a transitional update to the timeless style of the wing back silhouette. 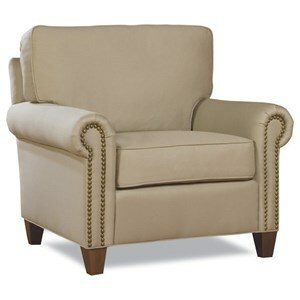 This chair features double rows of nailhead trim, custom nail head options available. 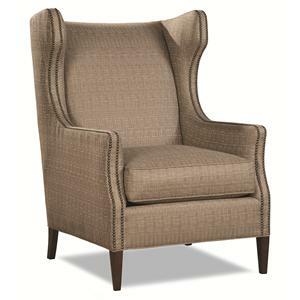 Slim track arms provide a contemporary flair paired with this chair's tight back and tapered wood legs. 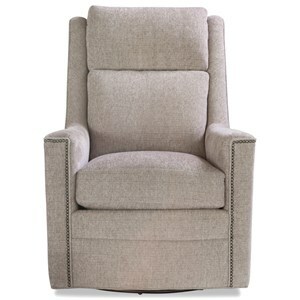 Made in the USA, this chair is hand-crafted with finely tailored details. Its high-quality construction provides you with a durability that will allow it to be a treasured addition to your decor for years to come. 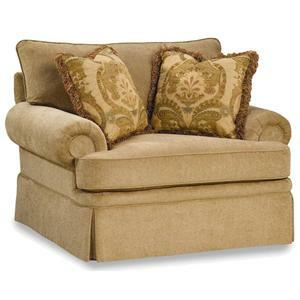 This beautiful love seat will add elegance and sophistication to any living space. This piece was built to last, with hardwood frame construction and eight-way hand tied support coils. 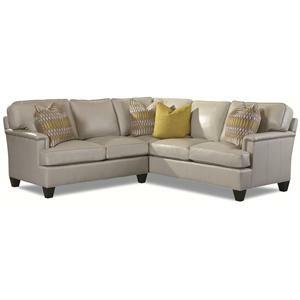 Its plush, ultra down cushions provide exquisite comfort, while the slightly tapered arms, accent nailhead trim and turned feet exude chic style. 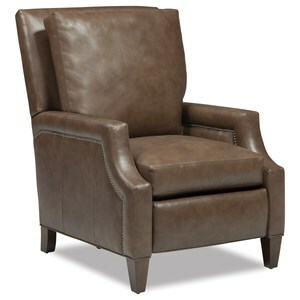 This piece also comes in various fabric options, including leather, so you can find that personalized look you love.